Can a Decision Model Define Uniqueness of Objects inside a Collection? Today Nick Broom published his own example of a decision model based on his understanding of the current version of the DMN standard. Nick is a business analyst and a well-known decision management practitioner, so his interpretation is very valuable as the standard is oriented to the business analysts (not to programmers). Nick’s example is supposed to make a decision whether an applicant is eligible or ineligible to a credit card. Nick described a simple credit card application process and designed decision requirements diagrams and related decision tables. Modern rules and decisions management systems provide effective mechanisms for development of good decision models. However, building real-world decision models people always face complex issues related to diagnostic and resolution of rule conflicts. 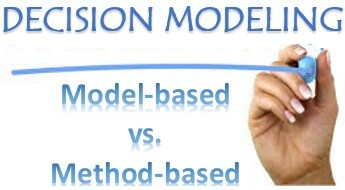 Some systems can effectively verify decision model consistency and diagnose rule conflicts. But there are no practically used Business Rules (BR) products that claim that they may automatically resolve rule conflicts. We are pleased to announce a joint free webinar organized by Decision Management Solutions and OpenRules. Previously this web application was deployed at the local Tomcat, and I wanted to move it to the Jelastic’s cloud with minimal efforts. And I had almost no problems of doing that! Now you may try to play Nim yourself from the cloud using this URL http://openrules.jelastic.servint.net/Nim/. What have I actually done?